Most home insurance claims in Canada deal with water damage, not fire. Floods occur five times as often as wildfires, the second most frequent natural hazard in Canada. economic impacts of flooding are clear, a limited number of short term epidemiological studies have been conducted to assess the health impacts of flooding. 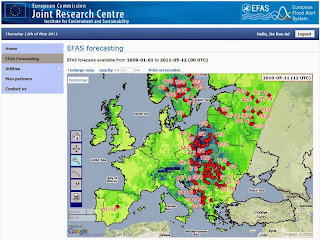 The European Commission notes that data on flood events shows "... the greatest "burden of mortality" is from drowning, heart attacks, hypothermia, trauma and vehicle-related accidents. The speed of onset of floodwaters is a determining factor in the number of immediate flood-related deaths." 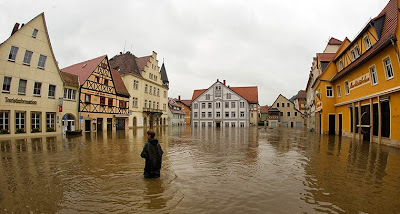 Flash flooding can occur in urbanized areas whose smaller catchments respond quickly to short term rainfall bursts. Generally, this does not result in drowning risk as overland flow along streets is shallow. Nonetheless, runoff can accumulate in depressions and behind embankments that are a barrier to flow, resulting in high localized ponding that can pose a risk. 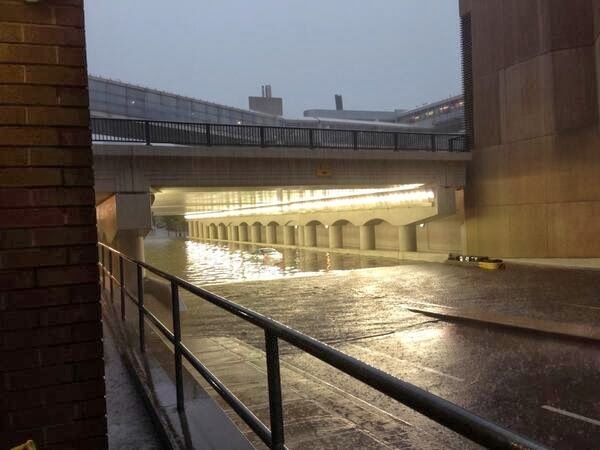 It is not uncommon to have underpasses flooded in this manner in urban areas. In contrast to flash urban flooding, river flooding in valley systems that drain large watersheds can be slower to respond and and may be more sensitive to longer term rainfall volumes than short term rainfall intensities. Trauma deaths, mainly by drowning. Drowning is the leading cause of death in case of flash floods and coastal floods. Fatal injuries can occur during evacuation or during cleanup activities. Flood-related injuries, such as contusions, cuts and sprains have been reported in several studies, as have burns, electrocutions, snake bites and wound infections. However, the number of serious injuries observed after violent flooding events generally turns out to be much lower than initial estimates predict. Enteric infections due to the disruption of sewage disposal and safe drinking water infrastructure. Increases in mental health problems such as anxiety, depression, sleeplessness, and post-traumatic stress disorder among flood victims. The risk estimates for physical illness in adults declined after adjustment for psychological distress, while psychological distress remained strongly associated with flooding after adjustment for physical illnesses. Vectorborne disease, such as malaria, dengue and dengue hemorrhagic fever, yellow fever, West Nile fever and rodent-borne disease, such as leptospirosis. There is some evidence that diarrhoeal disease increases after flooding, particularly in developing countries but also in Europe. Standing water caused by heavy rainfall or overflow of rivers can act as breeding sites for mosquitoes, and therefore increase potential exposure to infections such as dengue, malaria and West Nile fever among people affected by the disaster and among emergency workers. West Nile fever has emerged in Europe after heavy rains and flooding, with outbreaks in Romania in 1996-97, the Czech Republic in 1997 and Italy in 1998. There is also an increased risk of infection from diseases contracted through direct contact with polluted waters, such as wound infections, dermatitis, conjunctivitis, and ear, nose and throat infections. Contamination by toxic chemicals during floods is theoretically possible but no verifiable correlation has been observed or measured so far. Other negative health outcomes, for example related to the disruption of healthcare services and population displacement."